One of the most important challenges connected with a Social Security Disability application or appeal is to demonstrate to the satisfaction of the Social Security Administration (SSA) that you qualify for benefits. Even if you have a qualifying condition and plenty of documentation that you cannot work, the SSA may deny your claim. Wagner & Wagner Attorneys at Law has been a trusted source of counsel for generations. Our Chattanooga Social Security Disability attorneys can help you through the claims process, so you can protect yourself and your family. Your disorder may be the result of an injury, illness or onset of a chronic condition. In addition to medical considerations, you should meet SSA’s requirements of having worked and paid into the Social Security system over a certain number of years. You should be unable to work at your previous job or at other suitable jobs. Note: Even if you have not worked as many years as Social Security Administration requires of SSDI benefit recipients, you may qualify for SSI (Supplementary Security Income) if you are disabled and your income is low enough. What questions with the SSA ask to evaluate a claim? Is the applicant currently working? Is the injury severe, and does it interfere with work-related activities? 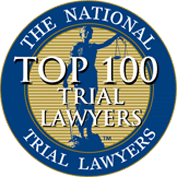 Is the injury on the list of disabling impairments? Does the injury prevent you from doing any of the types of work you performed in the last 15 years? Are there any other types of work you might be able to engage in? The interpretation of each claimant’s answers involves much more complex factors, as well as official documentation. To learn more about how the Social Security Administration determines qualification for SSDI benefits, please visit Social Security Online or talk to a skilled attorney. If you have applied for Social Security Disability benefits and been denied, you should talk to an attorney about how to prepare a convincing appeal. Wagner & Wagner Attorneys at Law in Chattanooga represents clients through appeals in administrative appeals. 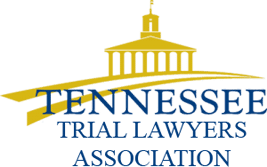 Please call 423-799-3532 or contact us to schedule a consultation with a Chattanooga Disability attorney today. 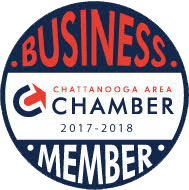 We are proud to serve Chattanooga, Cleveland, TN, North Georgia and all surrounding counties.